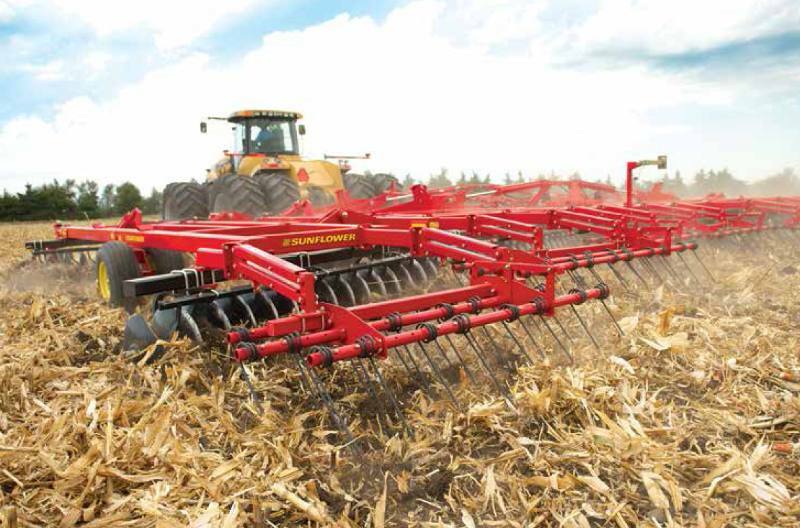 Big Blades for Aggressive Tillage! This series of heavy tandems is designed to penetrate hard packed soils and thickly matted crop residue to perform the primary tillage function. Larger blades, wider blade spacings and massive frames combine to produce industry leading weights per blade specifications. Available in widths from 14’ to 18’ in rigid frames or three section flexibility from 22’ to 39’ to maximize productivity of the largest of tractors. There’s an 1800 series tool to match your tractor. Transport width ft. in. (m): 13 ft. 6 in. Transport height ft. in. (m): 13 ft. 6 in. NC = Narrow center, WC = Wide center | RG = Rigid gang, SCG = Spring cushion gang Specifications may vary based on tires, hydraulic system, attachments or other possible variances.